For readers of Paul Kalanithi's When Breath Becomes Air, a medical page-turner that traces one doctor's remarkable journey to the essence of medicine (The San Francisco Chronicle). San Francisco's Laguna Honda Hospital is the last almshouse in the country, a descendant of the Hotel-Dieu (God's hotel) that cared for the sick in the Middle Ages. Ballet dancers and rock musicians, professors and thieves anyone who had fallen, or, often, leapt, onto hard times and needed extended medical care ended up here. So did Victoria Sweet, who came for two months and stayed for twenty years. Laguna Honda, relatively low-tech but human-paced, gave Sweet the opportunity to practice a kind of attentive medicine that has almost vanished. Gradually, the place transformed the way she understood her work. Alongside the modern view of the body as a machine to be fixed, her extraordinary patients evoked an older idea, of the body as a garden to be tended. 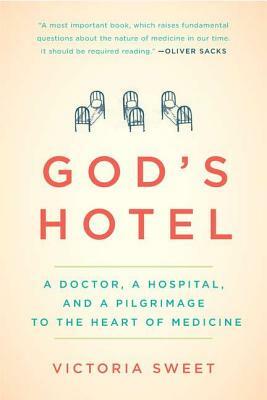 God's Hotel tells their story and the story of the hospital itself, which, as efficiency experts, politicians, and architects descended, determined to turn it into a modern health care facility, revealed its own surprising truths about the essence, cost, and value of caring for the body and the soul. Victoria Sweet has been a physician at San Francisco's Laguna Honda Hospital for more than twenty years. An associate clinical professor of medicine at University of California, San Francisco, she also holds a Ph.D. in history and social medicine. To learn more about Victoria Sweet and her work, please visit www.victoriasweet.com.